Opinion - if we go through this term in any dictionary, most of them will output 'a view or judgement formed about something, not necessarily based on fact or knowledge'. Another meaning would reflect - 'a statement of advice by an expert on a professional matter'. Both the meanings are contextual. What I am talking about here is the very popular topic we all are discussing in recent days. The media opinion, an opinion that can mend or break, an opinion that can result in riots, an opinion that can pacify the grave situations, an opinion that can make someone the PM of this great nation and opinion that can do 'almost anything'! With the recent developments in Indian media, I am aghast; and I am saying it honestly. Did you hear about the encounter of Burhan Wani? Yes, I am talking about the terrorist who was a threat to the future of the Kashmiri youths and, if I am prudent, national security. The way media has acted (only those who have actually done so, and you know better who they are) has come out as a real problem to fuel the 'forced diversity' in national opinion about issues which are in national interest. We need to understand their motive behind framing such insidious agendas. Someone proclaiming himself as a terrorist and has killed some of our army men and several civilians and recruits many Kashmiri youths into a terror organization and regularly poses threat notes to the integrity of this nation and someone for whom Pakistan laments and senior terrorist like 'Hafeez Saeed ji' weeps in public can get no better death than he has 'attained'. National security and Kashmir as an integral part of India CAN NEVER BE COMPROMISED, mind it, you all journalists who demotivate our brave soldiers and sought public sympathy for those terrorists. You can keep settling your personal scores with a 'journalist' who has the guts to speak the truth and is not a coward and puppet in the hands of terror organizations and is not a part of the big scheme against the nation. Dear readers, I was not writing, true, but it's not true that I was not keeping a watch on the events taking place in this great country. 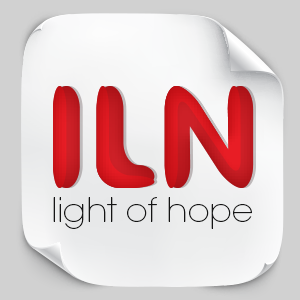 ILN will come with a new avatar and will become the voice of those who have much to say but no platform to speak. Let's keep things straight as they are; we don't need the misleading opinions of someone who is praised by Hafeez Saeed. Let's use the conscience and see the things with the most appropriate spectacles.